Dave Cullen's Columbine is a breakdown of the true events behind the April 20, 1999 Columbine High School shooting in Littleton, Colorado. Cullen's work in Columbine is fascinating, mainly because all the facts he presents in this book are garnered from real and concrete documentation. Before he even delves into the events surrounding the Columbine shooting, Cullen kicks off his book with a helpful prelude about his sources, which lets us know that the material we're about to read isn't fabricated, or opinionated. One of the many key points Cullen addresses in Columbine is the true story about the phrase "Trench-coat Mafia." For example, some are under the impression that shooters Eric Harris and Dylan Klebold were gang members in an alleged Trench-coat Mafia, when in all actuality, the shooters only chose to wear the trench-coats so they could conceal their weapons. Columbine reveals every truth, and addresses every perception conjured up by the media about the shooting. Because this massacre was on such a large scale, and involved many people and witnesses, it's not hard to see why so much evidence was misconstrued. Written ten years after the shooting, Cullen's account of Columbine is a great source of education for the public about how the incident really played out. 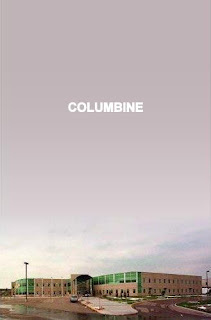 Columbine is written with great taste, considering the intensity of the tragedy. Not only will fans of true crime eat this one up, but this book is also perfect for discussions or book groups. Cullen's voice and style is fresh and easy to understand - there's nothing boring or stuffy about this author. What other true crime books have stuck with you long after reading them? Share your thoughts with us in the comments section below.